Charlotettown - follow us On IG & FB for Pop- Up Dates! Looking for a great way to sweeten up your upcoming event? We have you covered! Contact us today to book your order of delicious doughnuts, custom made just for your event. With an a wide variety of mouth watering flavours, we guarantee there will be a doughnut for every tastebud! You can’t buy happiness but you can buy doughnuts. And that’s kind of the same thing. 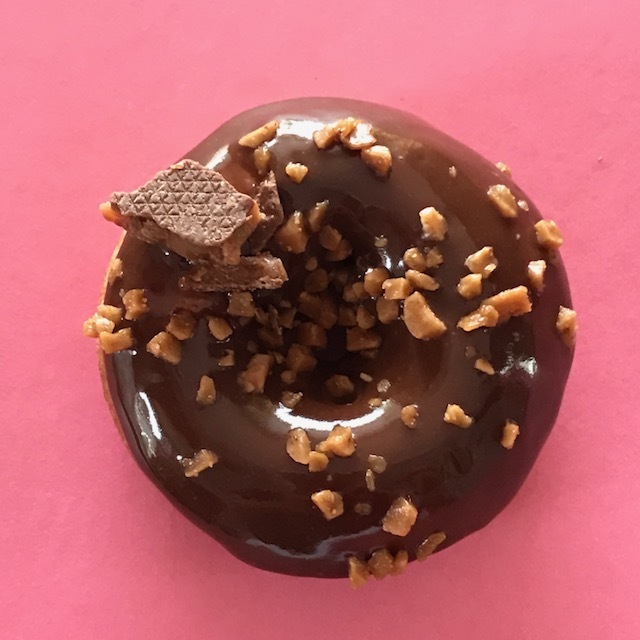 A soft fresh ringed doughnut dunked in our rich dark chocolate ganache and covered in Skor chunks. Salty + Sweet! A true Canadian flavour with maple dip and bacon from Island Taylor Meats! Its Like a double chocolate treat, dipped in chocolate then stacked with Cows famous chocolate covered potato chips!